This weekend, in honor of my big birthday, we went searching for filet mignon at a somewhat affordable price. Lo and behold Sun Harvest Market has them for a song at 6.99/lb. When checking out our personal favorite store, Central Market, those babies were $27/lb. Strangely enough H-E-B didn’t carry them at all. So no demand for good meat around here? This search for the perfectly priced filet made me start to compare our local “somewhat healthy” markets. If (and only if) you shop the sales at Central, you will come out not having spent your entire paycheck. That’s quite a nice treat. And the quality beats out everyone else, hands down. But… many of their prices are pretty steep for anyone calling themselves thrifty. Then we have Newflower, Sprouts and Sun Harvest. All of these are within 10 minutes of us so we can somewhat easily get to all three. Sun Harvest was the winner this week on price, but I must say the quality was not what I’d want in a filet. Can I say big mouthful of fat? Newflower suffers from having little to no “regular” items such as kraft etc and when you step out of the sale perameters, they are nearly as expensive as Central. They also err on the healthy vs the foodie. So where does that leave us? Drum Roll… at Walmart. And Central. And Fiesta Market. Fiesta is on our block so for a quick frozen cpk pizza, they are a godsend. Same goes for a lime/lemon, etc. 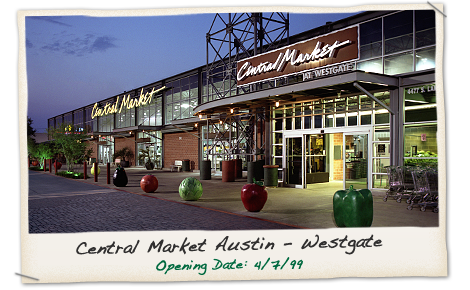 Central is where we get meat, produce and little treats. And Walmart is the best place for the packaged crap you want to get as cheaply as possible and probably shouldn’t be eating in the first place! i.e. Little mini Oreos. And the generic toiletries are really high quality but amazingly affordable. Patene ProV- esque shampoo with exactly the same ingredients goes for $3.12 for the larger bottle. What are your thoughts for a few thrifty folks looking to shop the right places and still maintain a little of a soul?